The Summer World Transplant Games represents the largest organ donor awareness event in the world. Open for participation by athletes aged from 4 to 80+ years who have undergone either solid organ or bone marrow life saving transplants, these include Liver, Heart, Lung, Kidney, Pancreas and Bone Marrow. The games comprise of seven days of competition for a number of sports ranging from low impact through to high exertion. It attracts close to 2500 participants from over 60 different nations, made up of athletes, medical professionals, donor families, living donors and supporters, and is constantly growing. 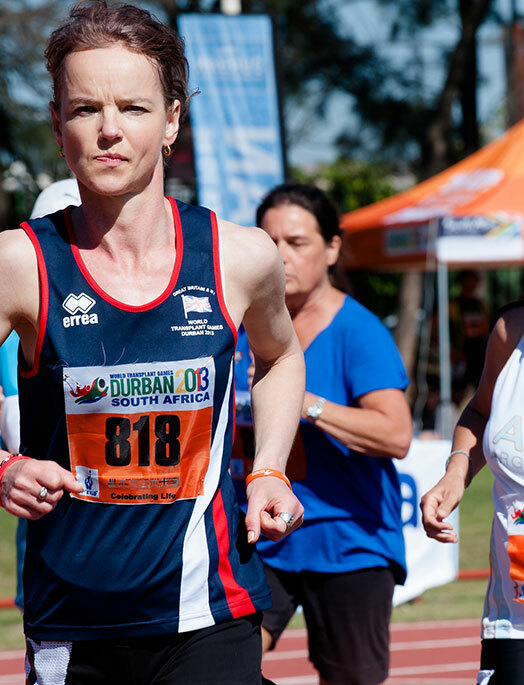 The level of competition ranges from elite athletes to social athletes, promoting the benefits of sport at all levels. The Games are celebration of life and as such include many social and cultural events such as an Opening Ceremony, Cultural evenings, Closing ceremony, Donor recognition events, Youth Programmes and a Gala Dinner. Our core Sports at the Games include Athletics, Swimming, Golf, Road Race, Cycling, Badminton, Table Tennis, Volleyball, Petanque, Tennis, Squash, Tenpin Bowling with options to include additional sports such as darts, paddle tennis, lawn bowls, kayaking or 3 on 3 basketball.